Neil Astley is so committed to fostering poetry that he has published over 400 titles in the 20-odd years since he founded Bloodaxe Books. 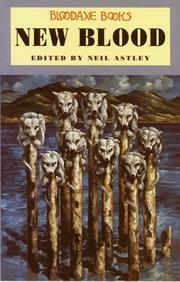 His first in-house anthology, Poetry with an Edge, appeared in 1988 and was augmented in 1993. This new anthology provides a generous sampling of poems by 38 poets from a broad stylistic spectrum, all except one under the age of 40. These successors to Seamus Heaney, Derek Mahan, Geoffrey Hill, Ted Hughes, Tony Harrison, and Douglas Dunn—the poets who first `broke the mould` of Oxbridge versifying in the 1960s—are both eclectic and nonconformist, blending American, British, Scottish, and European influences. They are presented roughly in the order of their book publication dates. While it may seem a trifle in-bred, Astley’s stable of authors certainly contains some interesting demographics. Of the 38 poets, one-third are graduates of Cambridge or Oxford; only four teach as their principal way of earning a living (while half work as freelance writers); one-third are from northern England and one-third from Scotland; and women make up three-quarters of the whole. Entries are prefaced by brief biographical notes and excerpts from reviews, as well as by personal ruminations about subject matter and craft. The critical attention that these emerging authors have already received attests to the fact that the Brits continue to take their literature seriously. As with all anthologies, readers will find themselves responding to some entries more than to others, but for anyone interested in the contemporary British poetry scene this collection is a significant marker.